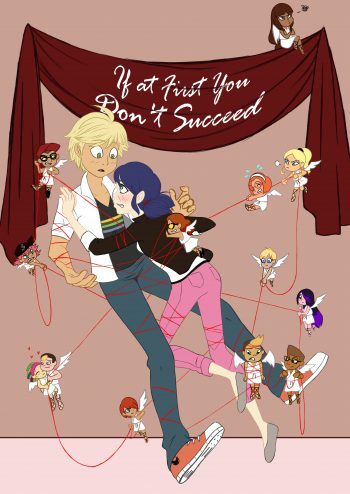 Alya watches, baffled (and maybe just a bit scared) as her best friend Marinette’s relationship with her crush Adrien changes epically overnight. As in, one day Marinette struggles to piece together complete sentences around him. The next, she’s arguing the improbabilities of centaur anatomy with him. Scary weird. . . . And weirder still, some weeks later, as Paris’s superhero duo Ladybug and Chat Noir find themselves facing–oddly enough–a centaur-like akuma, the conversation Alya overhears between them seems oddly familiar. These Things Don’t Just Happen Overnight manages to be a cute, slightly crackish, yet understated revealfic for an absolutely adorable show. I love the way the author shows us everything from Alya’s perspective–the friend’s insight, the journalist’s observation, but still the incomplete picture that comes from missing a huge chunk of the puzzle . . . although one gets the impression she’ll probably figure it out pretty soon. 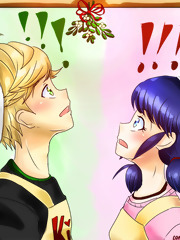 I loved how Marinette and Adrien go from this awkward friendship-in-the-works to an easy, established relationship overnight once their secret identities are revealed and they recognize each other as the partners they are (and yes, I’m aware of how awkwardly worded that sentence is, sorry). I’ve seen reveals between these two go the gamut from super-awkward afterwards to casually-comfortable, and the way this one goes is both cute and fitting for the flavor of the story here. I really love the humor that is liberally sprinkled throughout–again, it’s almost crackish, but it works. Also . . . totally random, but the centaur argument is scarily similar to one my Pathfinder group has had, and it made me laugh. Note: You can find These Things Don’t Just Happen Overnight at https://archiveofourown.org/works/6385852.